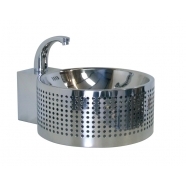 This a small selection of our more design focused stainless steel items suited for washrooms both domestic and high end bar, club, restaraunt and office facilities. 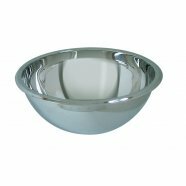 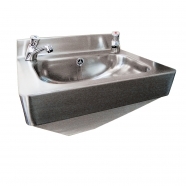 Other more commercial orientated bowls and sinks etc can be found in the Catering Section. 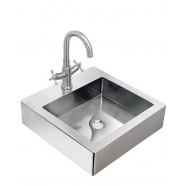 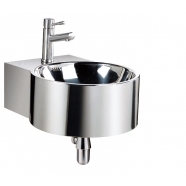 Stainless Steel Mini Hand Basin Sinks are manufactured from 1mm thick grade 304, satin polished stainless steel, supplied with two tapholes and 32mm waste fittings. 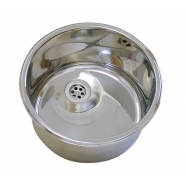 (unless stated otherwise). 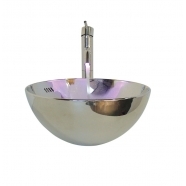 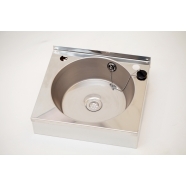 Stainless Steel Shrouded Anti-Vandal Hand Wash Basin with 130mm deep bowl with rounded corners. 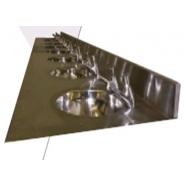 suitable for duct location.